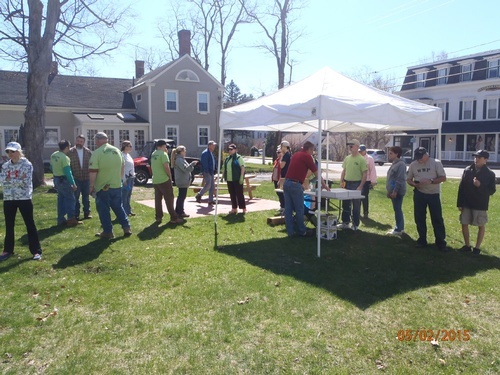 Henniker Community Spring Clean Up Day - May 4, 2019 - Henniker Chamber of Commerce, NH ? Check-in starting at 10am to get assignment, trash bag and gloves. How Can You Participate? Businesses, Organizations and Residents can help with the clean up by sending an email to RSVP@hennikerchamber.org with their company/group name/family name and number of people attending. The Henniker Chamber of Commerce will donate $100 to the team/group with the largest number of people to check-in and check-out as a team/group. Volunteers are encouraged to wear a t-shirt with their organization’s name on it and to bring their own gloves, hat, sunscreen and safety vest, if possible. Please help us make Henniker look its best! Following the clean up efforts will be a FREE barbeque for all participants on the lawn at the Henniker Community Center with food provided by the Henniker Chamber of Commerce. Meet at the Henniker Community Center, Gazebo on Main Street.